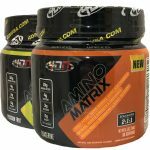 Deal Categories: BCAA.Stores: Vitamin shoppe. Take advantage of the super sale where the price for the ProSupps protein cookie drops to $13.5 / Box (half price). Buy one FitMiss BCAA (30 servings) & get one free for $19.99 at A1Supplements.